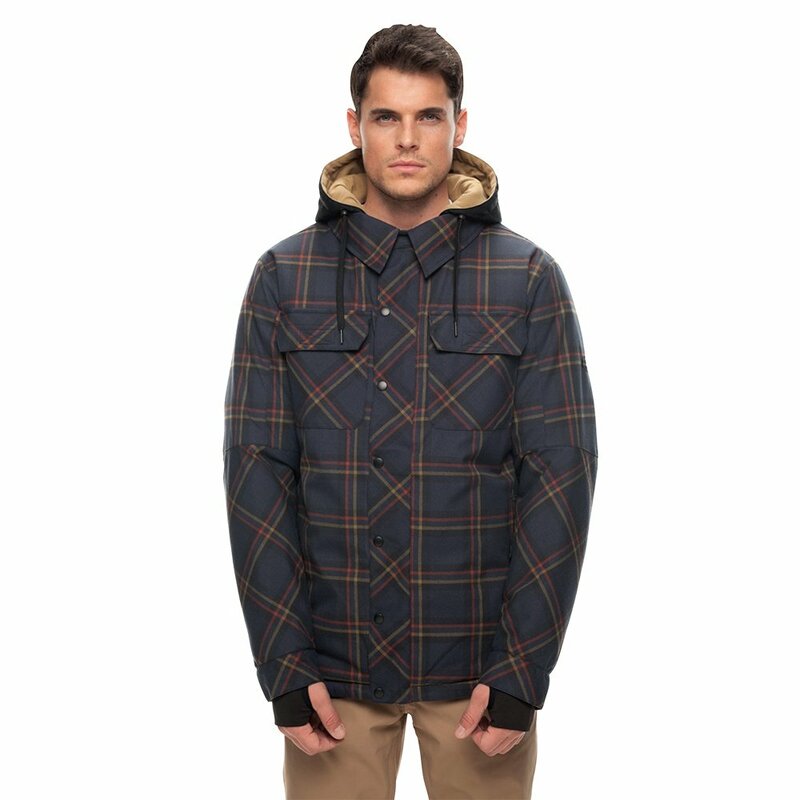 Keep it rustic in the 686 Woodland Insulated Snowboard Jacket. Bringing out your inner lumberjack, this 10K/10K jacket features a woodsy combination of flannel and quilted styling. It has flaps and buttons out front for a blend of fashion and function. Of course, this jacket isn't built for sitting around combing your beard - it absolutely shreds with a full feature set that includes mapped insulation, Air-Flo™ venting, and an adjustable powder skirt. The quilted hood pops off if you need it to and adjusts via drawcord. A series of pockets keep your goggles, music, ski pass and other belongings wrapped up.